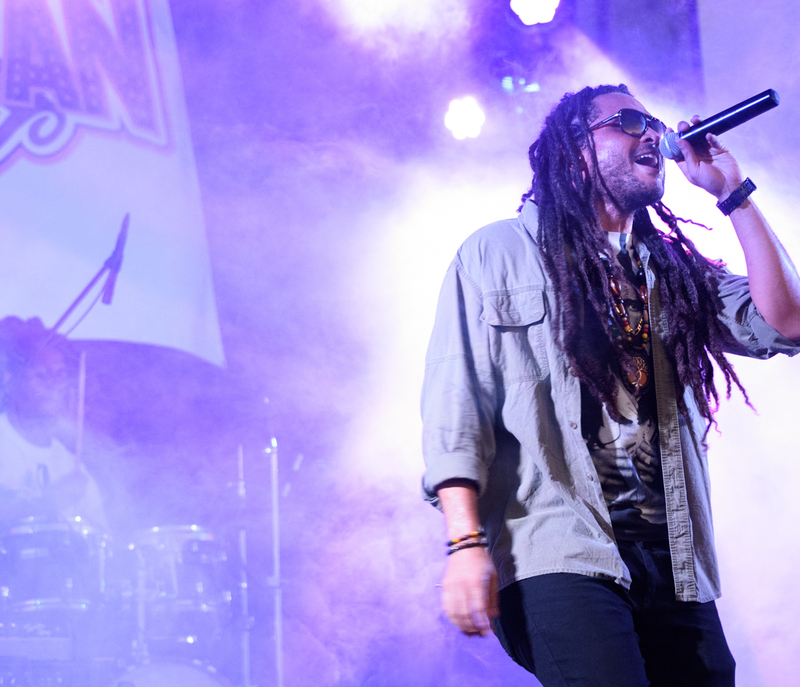 Conkarah is known for almost a decade of producing impacting and positive music or ‘feel good reggae’ as his fans say. Born and raised in Kingston, Jamaica, Conkarah aka Nicholas Murray, grew up in a culturally diverse home with his mother being British and his father Jamaican. This gave this Conkarah a reason to want to explore the world. To date, Conkarah has successfully completed two world tours conquering the hearts of fans in Europe, Asia, The Caribbean, and the Pacific - including countries and islands such as Germany, Switzerland, Belgium, Belize, Dominican Republic, Indonesia, Singapore, Solomon Islands, Papua New Guinea, and Vanuatu. He has worked with several respected producers, creating a benchmark for feel good reggae music across the world. These creations have stemmed from Jamaican’s Jeremy Harding, Danny Browne and Donovan Germaine. Conkarah's previous EP’s charted on the Billboard Reggae Album Chart - ‘Don't Kill My Love’ reached No.7 in 2016, while 2017's ‘Timeless Love’ peaked at No.4. Conkarah’s YouTube channel currently boasts over 200 million combined views, as well as over 530 thousand subscribers. His unique reggae covers of Billboard chart toppers have gone viral introducing millions of music listeners around the world to the genre. His cover of Adele’s hit single ‘Hello’ ft. Rosie Delmah currently has over 87 million views on YouTube and went to the No.1 global viral stream on Spotify. His originals have also amassed millions of views on YouTube such as ‘Island Girl’ and ‘Remember The Days’ both currently over 4 million views. In June 2018, Conkarah released his latest EP, Excita with US producers Foolish Ways, Stan Frazier (of American Rock Band SugarRay) and Loud City Music. This 7 track project, features songs like ‘Take Control’ featuring Nigerian superstar Ice Prince and ‘Best Friend’ featuring Jamaican reggae sensation Tanya Stephens. Most recently is his single ‘Up Jump Di Riddim’ a fun catchy summer pop-reggae fusion produced by Grammy award winning producer Dave Aude and Martin Kierszenbaum (Cherrytree Records) is set to be released in September 2018. Conkarah has also teamed up with Venezuelan pop sensation Juan Miguel for their dancehall/reggaeton collaboration ‘Que Se Repita’ scheduled for release in October 2018.